This company based in between Portsmouth and Chichester started up back in July 2016 and were gaining so much work, they came to us to request a website and a logo. The website is aimed towards people who wish to be employed as a skilled groundworker. The steps were put in place to generate online traffic into this site by adding plenty of SEO tricks. 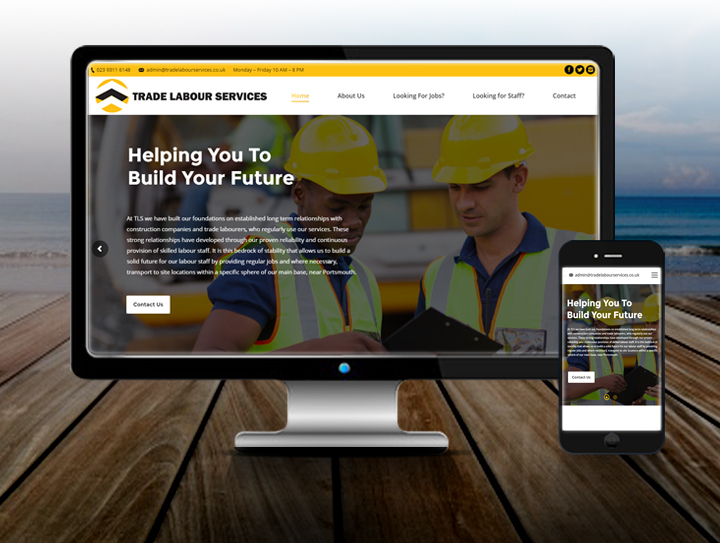 The site done in WordPress was designed and developed by Ebb and Flow in a yellow and black colour scheme to donate the look of a trade site. We employed a local wordsmith: Mark Gidney who did a superb job in copywriting to engage the user with creative and flowing text.